Introducing our outstanding member Tony Walsh! Tony decided enough was enough and to kick his unhealthy habits,routine and low moods. He took the decision to kick himself into gear and do something about it. 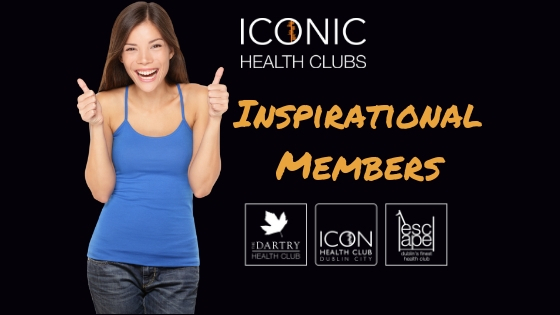 Tony has been a member of Iconic Health Club for 3 years and began with participating in our classes, mostly Spin, Les Mills BodyAttack and Les Mills Bodypump. He has been working with our Personal Trainer Dawn Maye over the past 18 months to concentrate on reaching his goals. Because of his dedication to the regime and understanding and putting in place lifestyle changes, Tony is a new man and reaping the benefits of a healthier and happier lifestyle. Well done Tony. You are a true Icon.